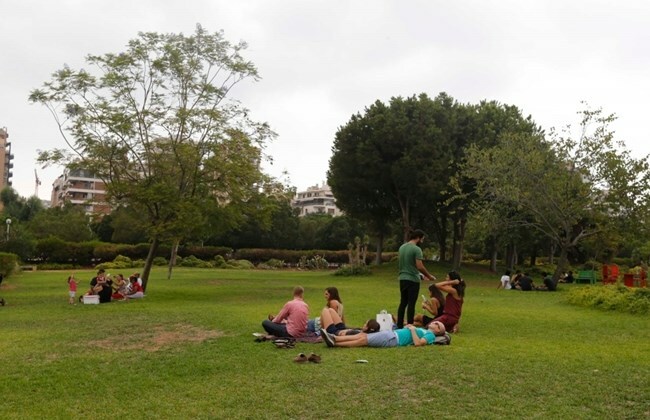 BEIRUT: It has been two weeks since Beirut’s governor reopened the capital’s main public park on Saturday 5 after 20 years of closure, but visits will only be allowed once a week. For two decades, the park was largely inaccessible to Lebanese over concerns of violence and littering, although Westerners were often allowed in. But after years of campaigning by civil society groups, the public will be able to access the largest green space in the city on Saturdays between 7 a.m. and 7 p.m.
“The most important thing about this is that people will be practicing hobbies and activities that the city had started forgetting,” Mohammed Ayyoub, executive director of NGO Nahnoo, said at the reopening. In addition to officials, media and activists, several families and Beirut residents descended onto the park, many for the first time in their lives. During recent years, the main argument made against Horsh Beirut’s reopening was that it could be turned into a space for trouble between people of different sects who live around the park. The park is located along the line separating Tariq al-Jadideh, a mostly Sunni area, with Beirut’s southern suburbs, which are mostly Shiite.